Although it's not clear if this is currently happening, researchers want to be prepared for this scenario. So a team at the University of Washington tested how well current water and wastewater disinfection methods affect antibiotic resistance genes in bacterial DNA. While these methods work well to deter bacterial growth, they had varied success in either degrading or deactivating a representative antibiotic resistance gene. "DNA is not in itself particularly toxic or harmful. But it's important to consider its fate once it's in the environment because it can potentially spread undesirable traits into bacterial communities," said corresponding author Michael Dodd, an associate professor in the UW's civil and environmental engineering department. "We have been finding more and more medically relevant antibiotic resistance genes in the environment. "The recognition that these genes are present in the environment isn't new—other groups have already provided a great deal of information on their behavior as environmental contaminants. What's unique about our work is that we're focusing on really unraveling and characterizing how a variety of disinfection processes influence the fate of such genes, so we can better understand how these different treatments affect antibiotic resistant bacteria and their DNA in our water." To determine how these methods affect both bacteria and antibiotic resistance genes, Dodd and his team used a model system: a harmless soil bacterium called Bacillus subtilis. The team worked with a strain of B. subtilis that overproduced a gene, called blt, which makes a protein that lets B. subtilis pump antibiotics out—making the bacterium resistant to a variety of common antibiotics. 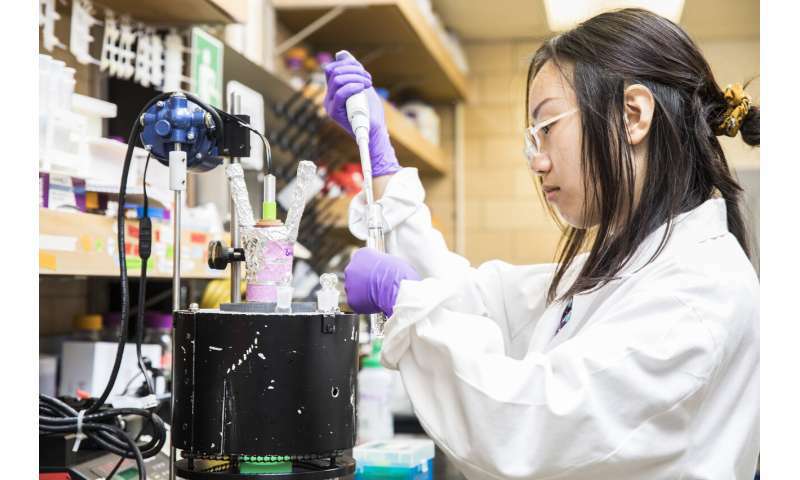 "As we expected, all of the treatments we looked at were successful in disrupting bacterial viability," said first author Huan He, a UW civil and environmental engineering doctoral student. "But we saw mixed results for DNA damage." "We found that these two methods degrade DNA so slowly that almost nothing has happened during the amount of time water is exposed under typical treatment conditions," said He. "In fact, we found that DNA from bacteria treated with chlorine dioxide and monochloramine retains the ability to transfer antibiotic resistance traits to non-resistant bacteria long after the original bacteria are killed." "If we can predict how effectively each disinfectant method would deactivate or degrade a specific gene, then we can better evaluate effective treatment strategies for degrading any antibiotic resistance gene that presents a concern," Dodd said. "Disinfection processes are very important tools for preventing the spread of antibiotic resistance. We're trying to better understand them so we can more effectively design and operate them in the future."